Frog, a small tailless amphibian. Scientifically, there is no distinction between frogs and toads. Both belong to the same order of the class Amphibia, and are collectively called anurans. Popularly, anurans that live in or near freshwater are usually called frogs. They vary in size from certain South American frogs less than one-half inch (13 mm) long to the 10-inch (25-cm) Goliath frog of Africa. Spade foot Toad, the common name for a family of Amphibians. 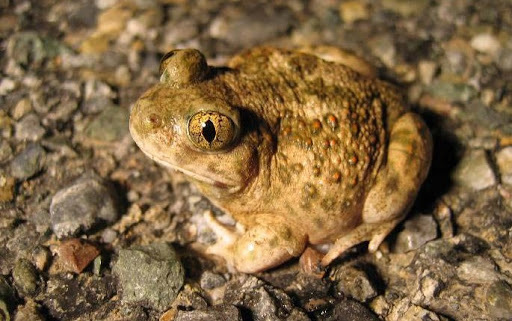 Spadefoot toads make up the family Pelobatidae. The North American species are all of the genus Scaphiopus. most of the species are now vanished from planet..
every organisms plays a vital role in the ecosystem.Destruction of any one of these species lead to the Unbalance of the ecosystem..